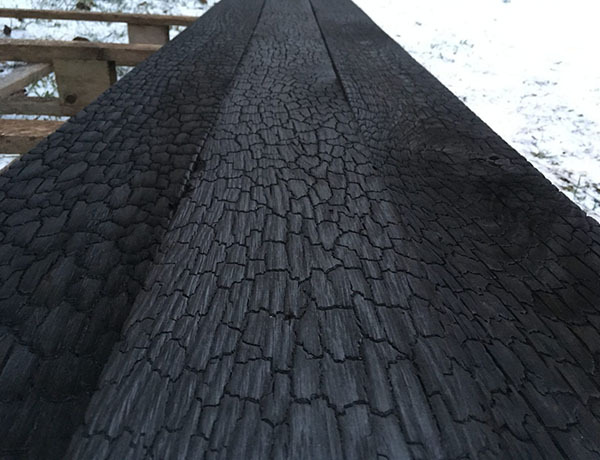 Traditional Japanese method shou sugi ban, also known as yakisugi, makes charred wood resistant to harsh weather conditions and ensures it is durable in time. Main advantage is that surface does not change its colour in time. 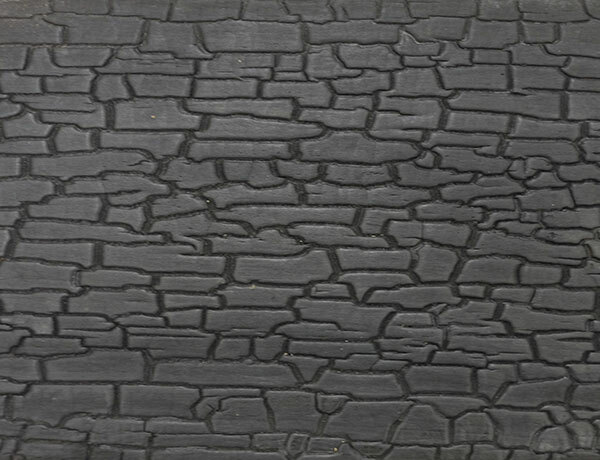 Also charred layer is resistant to mould, insects, water and even fire. In Japan, this technology was introduced 800 years ago. 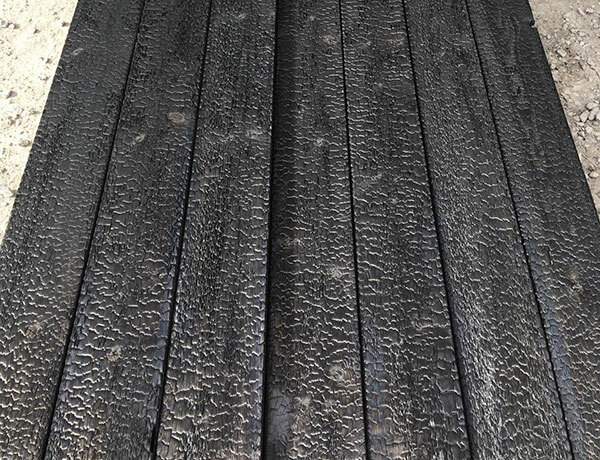 Charred layer protects wood and it is long lasting solution almost for century. In difficult weather conditions, the char layer needs reinforcement, we have the knowledge and skills to provide you with the best solution. 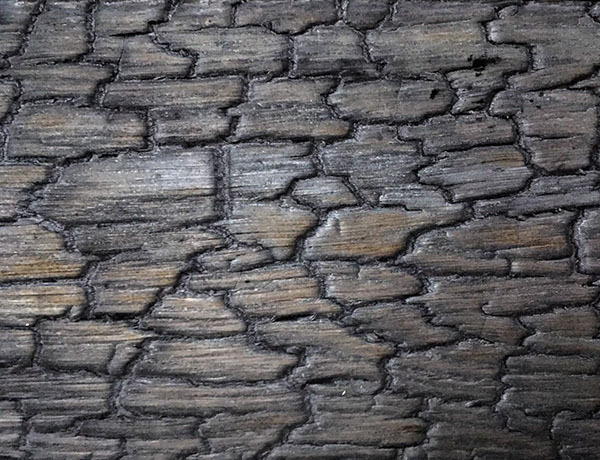 Manufacturing of charred wood requires accuracy, both in the process of preparation and charring. We select and prepare the best material with care and measure the charring time precisely to ensure the high-quality output. 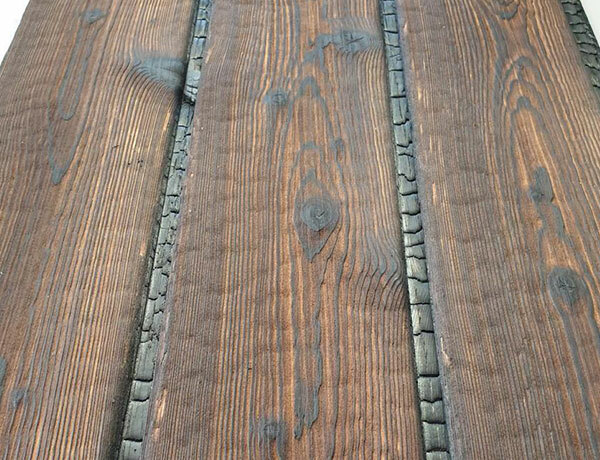 Charred wood is a unique yet modern solution for a variety of designs. Charred wood can be used for interiors as well as exteriors. For the latter, charred wood is mainly used for decking and cladding. 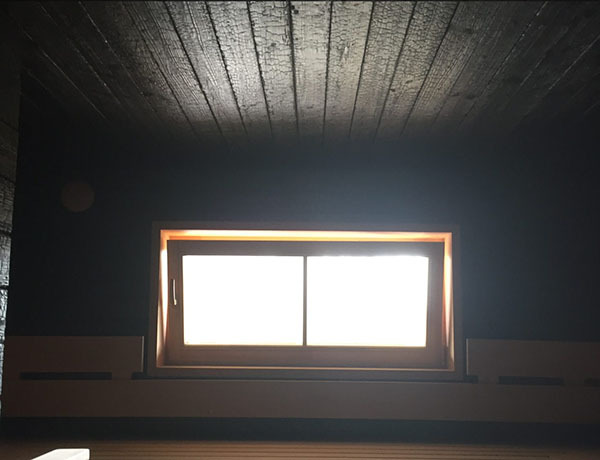 We produce charred wood by following traditional Japanese method to preserve wood. We do not use gas or other fuels to produce charred wood. Instead of wasting natural resources, we use a special technology were the wood burns itself. 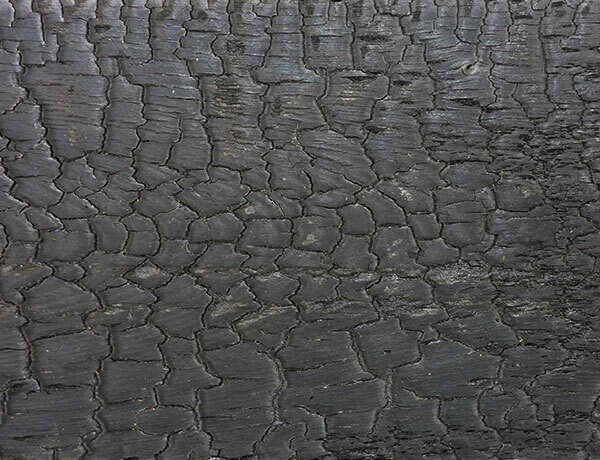 In collaboration with the Tallinn University of Technology (TalTech), we have conducted a research to find out the durability of the charred layer over time. In addition, we tested the charred wood to find the best finishing options for preserving the carbon layer, without the surface becoming greasy. For finishing coat, we offer a special sealer and oils. We offer shiplap, tongue and groove and squared profiles, length up to 6,0m. Standard thicknesses 21mm, 28mm and 45mm. And widths 45mm, 70mm, 95mm, 120mm, 145mm, 170mm and 195mm. Our most affordable product. It is good to use in interiors and also exteriors. 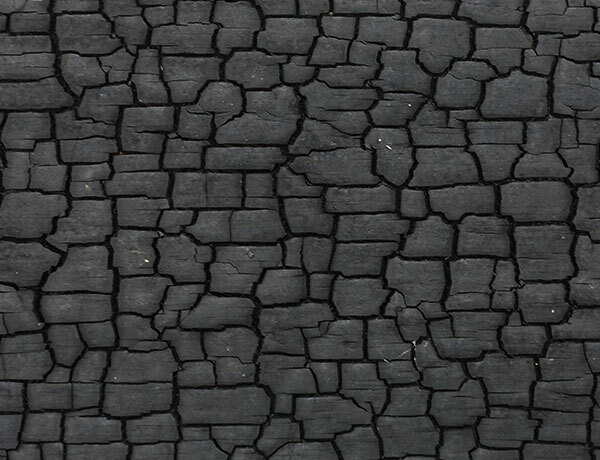 However, charred layer needs reinforcement when using outside. Our most popular product. 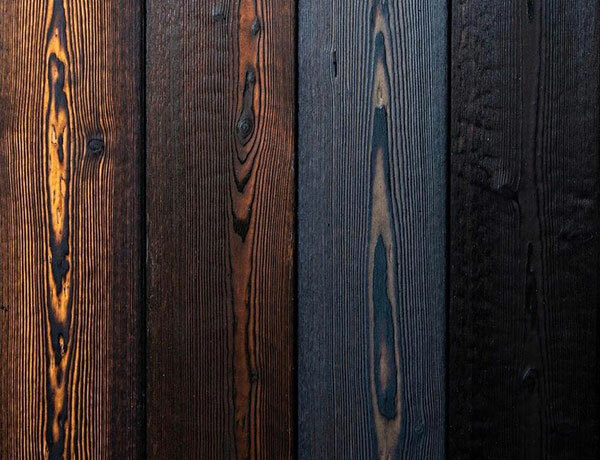 Charred larch has best quality price ratio, it is good for exteriors. Charred layer is strongest. It is good for interiors. Accoya is an expensive solution, charred layer is unique and nice. 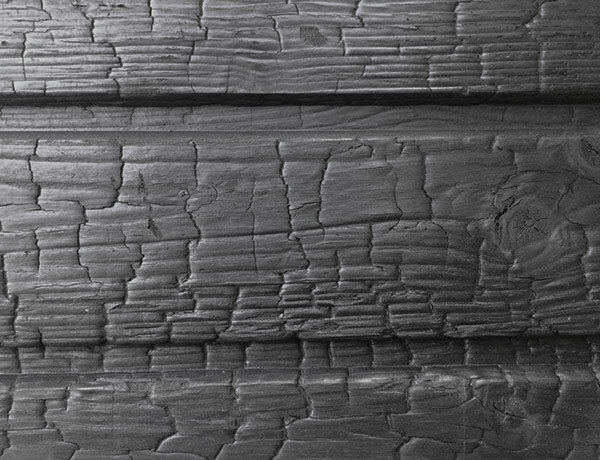 Charred accoya has best dimensional stability. There are no knots. 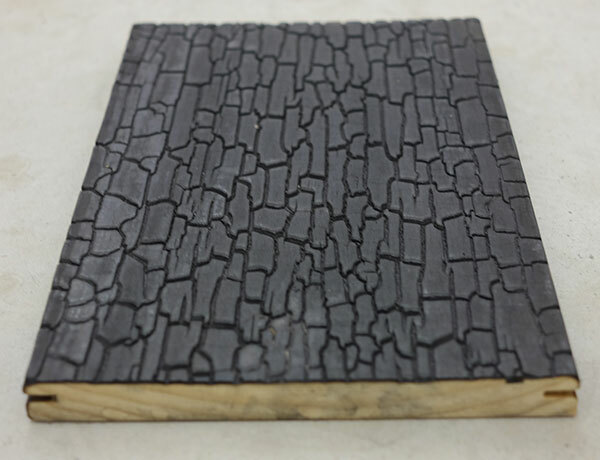 Charred kebony is also an expensive solution. Charred layer is unique and nice. 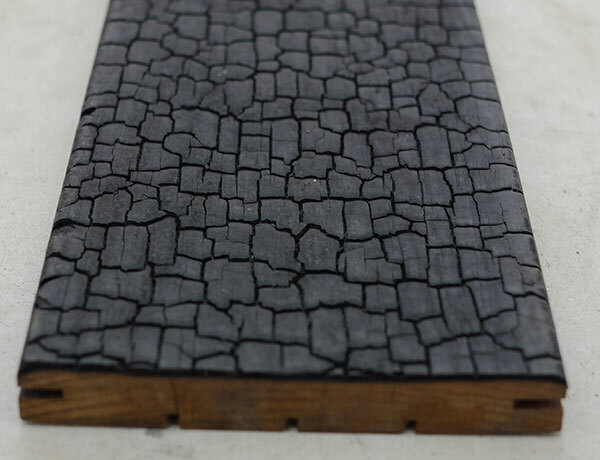 Charred kebony has good dimensional stability. There are no knots. At first, the wood is charred with 2-3 mm char layer and then we brush char away. Under char there is strong brown surface with unique texture. It can be used for decking or cladding. © Copyright 2019 EK WOOD OÜ.